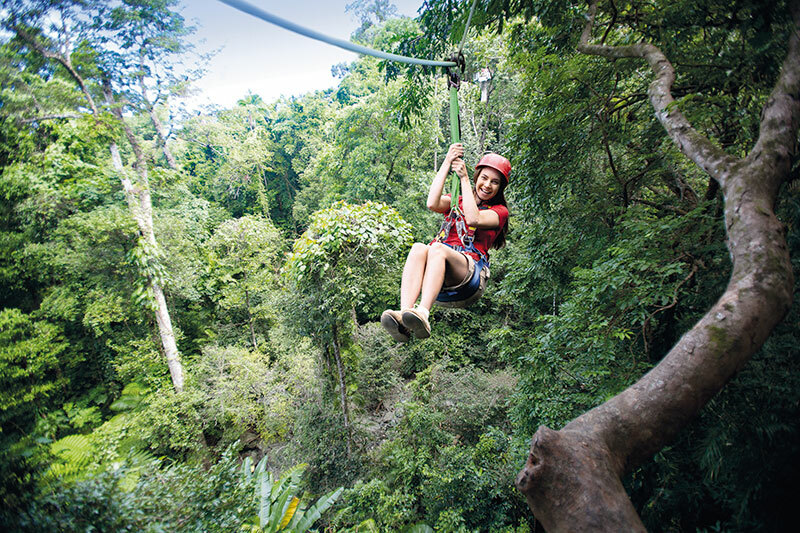 Known as the adventure capital, where rainforest meets the reef, Cairns is the perfect base for every activity imaginable — on land, in the air or below the sea. 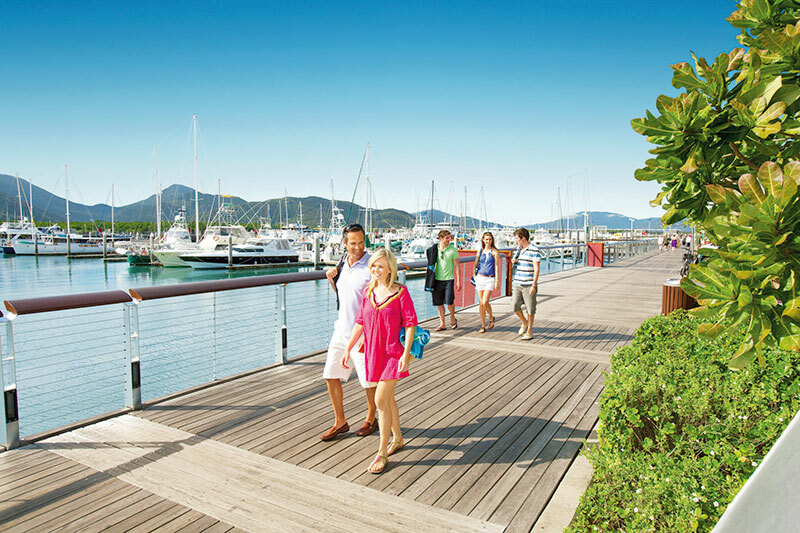 The International gateway to Tropical North Queensland, it is a vibrant and modern city that serves as an access point to the Great Barrier Reef as well as the Daintree Rainforest. 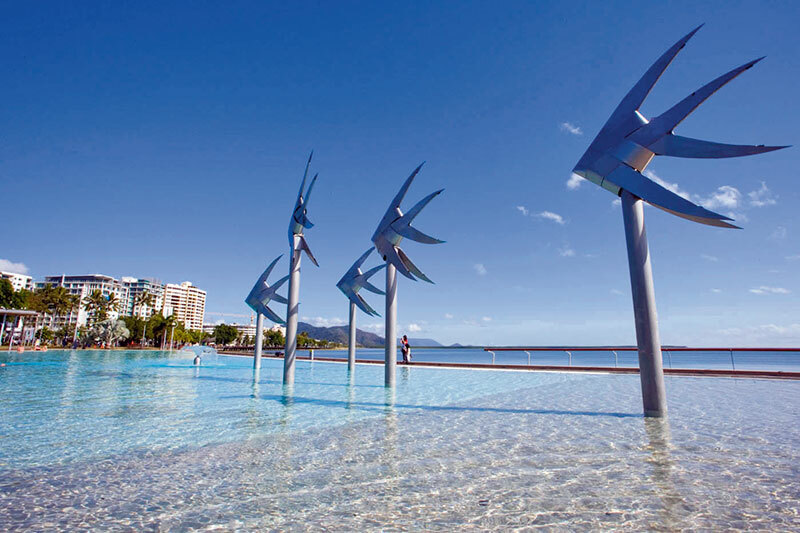 The Hilton Hotel Cairns is a good choice to stay at, boasting million-dollar waterfront views in the vibrant city heart. The hotel offers world-class style and innovation in an inspirational, tropical setting. Cool off in the free man-made lagoon on the Esplanade where almost two kilometres of landscaped parkland fringes a busy thoroughfare. Relax on the grass, eat at a side-walk café, amble under the trees…. Drive 20 minutes north to the patrolled waters of Trinity Beach and indulge in sinful seafood at waterfront cafés and fine-dining restaurants. Enjoy the sunrise in a hot air balloon over Atherton Tablelands and spend the rest of the day on a snorkel or scuba trip on the reef. 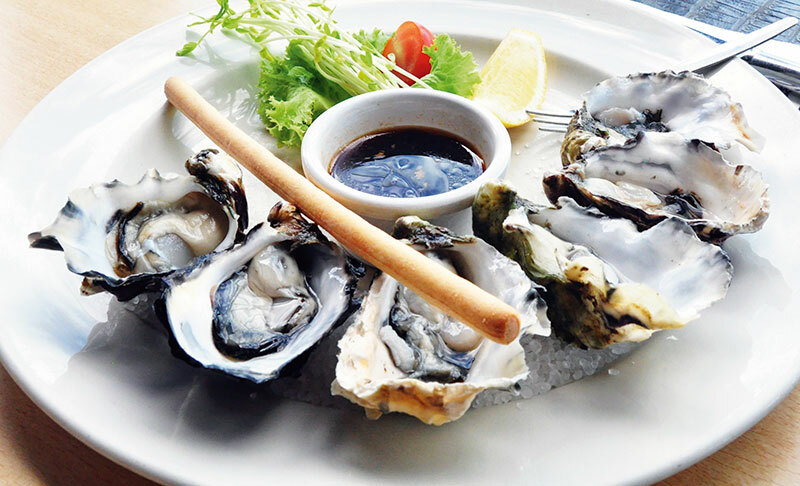 Check out the buzzing night-life in Cairns with a must-do visit to The Reef Hotel Casino with its four bars, offering a wide variety of styles, tones and flavours. A great place in Cairns to meet friends, dance into the night or just soak up the exciting gaming atmosphere! At the rooftop of the Reef Hotel Casino is the Cairns Wildlife Dome where you can get up close to Australian wildlife like koalas, crocodiles, snakes and birds of prey. 1. Visit the Great Barrier Reef with day trips and extended journeys departing from Cairns and Port Douglas. 2. 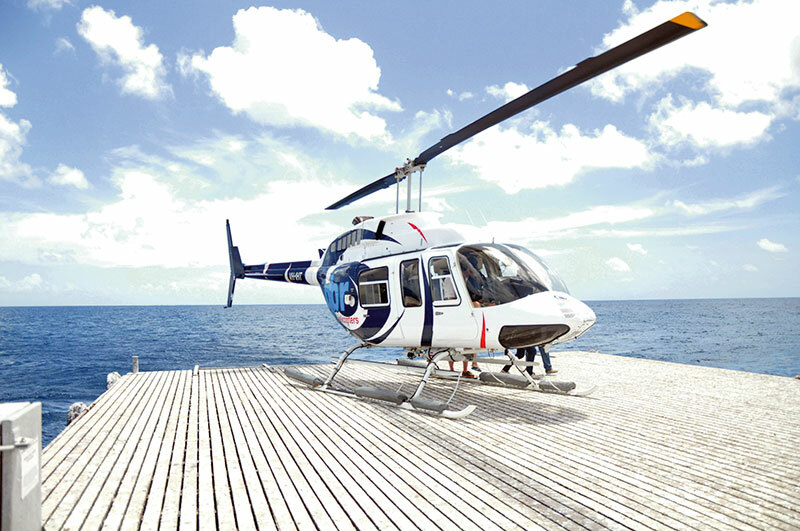 Take a helicopter flight for breathtaking views of the rainforest and the reef. 3. Surf the rainforest canopy in the Daintree, soar above the treetops in a hot air balloon, paddle the coast in a sea kayak or swim with a minke whale. 4. At Tjapukai Aboriginal Cultural Park, experience traditional Aboriginal culture that celebrates the history of the indigenous people of the rainforest. Learn to play the didgeridoo, discover the medicinal values of ‘bush tucker’, learn to throw a spear…. 5. Climb aboard the historic scenic railway to the rainforest village of Kuranda before returning through the treetops on the award-winning Skyrail Rainforest Cableway. 6. Go bungee jumping at the AJ Hackett site in Cairns surrounded by rainforest with a beautiful, natural freshwater pool below, and a view up to the Great Barrier Reef. Or get harnessed with two of your friends and swing at 120 kilometres per hour on the thrilling Minjin swing! 7. Check out the Cairns Night Markets for some great shopping, food and foot massages. 8. Visit the Cairns Night Zoo for a great Australian night out with a barbecue dinner and a guided walk to see nocturnal animals leading you to the crocodile lair. 9. Visit the coastal villages of Port Douglas and Palm Cove. 10. Hire a car and drive north of Cairns along the coast with rainforest on one side and reef on the other, discovering breathtaking sceneries.